Experience the ultimate college lifestyle at 11 West Student Housing located in Colorado Springs, Colorado. 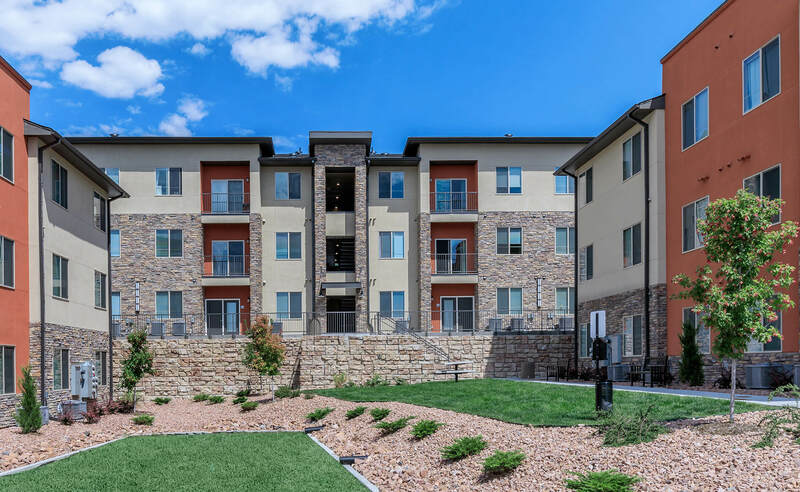 11 West is within walking distance to UCCS and only a short drive from Colorado College and Pikes Peak Community College. With easy access to restaurants, shopping, and entertainment, all of your favorite hang out spots are within close reach. 11 West presents a selection of exceptional two and three bedroom apartments that will be available on a per room basis. Each bedroom will be complete with its own bathroom and ample closet space. Inspired by you and designed to enhance your lifestyle, our apartments are being crafted to include a washer and dryer, cable and internet access, vinyl wood grain floors, ceiling fans, extra storage, furniture, and housewares. Living space is increased with a balcony or patio where you can take in the breathtaking views of the Front Range. We are dedicated to creating a tranquil atmosphere where you can relax and remain stress-free. You will find our beautifully landscaped community to be the perfect place. With access to public transportation, copy and printing services, high-speed internet, and on-call and on-site maintenance, you can focus on your studies without worry. Our community is pet friendly so you don’t have to leave your furry friend behind! Come home to the best off-campus housing in Colorado Springs at 11 West! Be a part of the excitement and stop by for a tour today!